-Lemon Eucalptus Essential Oil - 100% Pure - Non-Toxic - No Additives - Unfiltered and Undiluted with No Fillers. -Packaged in the USA in 15ml amber glass bottles, 50% more than standard 10ml bottles. Euro dropper cap included. 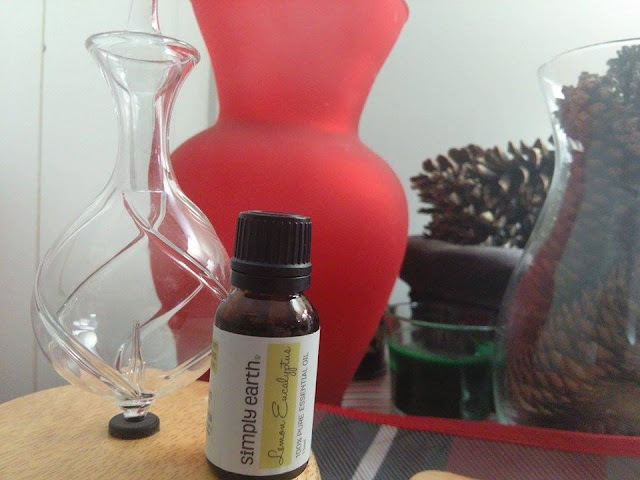 -Simply Earth is a small, eco-friendly, purpose-driven, family company. We donate 13% of the profit from every product purchased to organizations that are rehabilitating trafficking victims because the average age of these beautiful woman is 13 years old. -100% satisfied or your money back. We stand behind our products. With me being a collector of essential oils, I was very excited to get this Lemon Eucalyptus 100% Pure Essential Oil from simply earth. I have to say this is my new favorite! 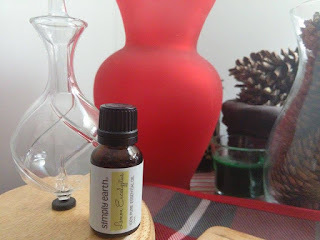 I have always enjoyed the scent of eucalyptus but I have never had this lemon eucalyptus blend before and I adore it! I like that it is pure with no fillers. I love that simply earth donates a percentage of their profits to organizations who help trafficking victims. I think this is a very important cause and I support their efforts. 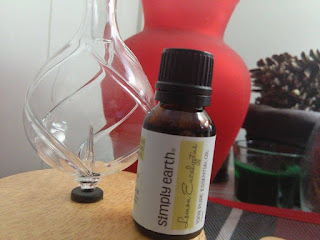 I really like this oil is packaged in an amber bottle with a dropper cap so it is easily dispensed without wasting any precious essential oil.